Shine up your batmobile, dust off your cape –and don’t forget to grab some vibranium!– because this April 14th at the Asa Waters Mansion everyone is a superhero! Our Superhero Bash will be a good time for everyone who loves superheroes: boys and girls, moms and dads, come on down to the crowning jewel of Millbury, MA for an afternoon of fun and adventure! For reservations call Marie at 508-865-5528. Our Superhero Bash is presented by the Asa Waters Mansion and The Friends of the Asa Waters Mansion; partial proceeds go to the continued care and restoration of the historic Asa Waters Mansion. 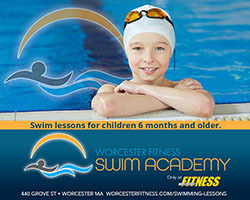 Previous Post2019 Easter Fun Guide in Greater Worcester! Next PostHeroes & Villains Day at the Worcester Art Museum on Saturday 4/13!